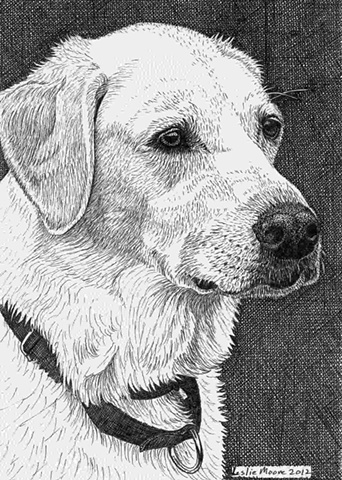 I just received a beautiful birthday present...one of your pen and ink drawings of my Jupiter! I opened the card from my Tim and remarked at how much the dog looked like my "Jupi". Tim chuckled. I then opened the package and proceeded to cry. It is so beautiful! You captured Jupiter's playful, sweet, mischievous and loving spirit so wonderfully. Truly a gift!